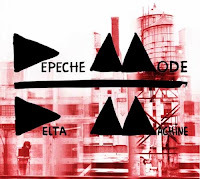 Depeche Mode announced in a press release yesterday that their new album ‘Delta Machine’ will be released on March the 26th worldwide via Columbia Records. ‘Delta Machine’ was recorded over the last year in the US; Ben Hillier who produced the last 2 Depeche Mode studio albums was behind the board again for this one. A full North American tour is coming, with details to be announced in the coming weeks.